Peter Sprague | We’re on the Desert Run! We’re on the Desert Run! Both Leonard and I are on the run this week. First up, once again, the desert! Tonight we play a show at the Coachella Valley Rep Theatre in Rancho Mirage. Duo spin in a good acoustic and listening setup! 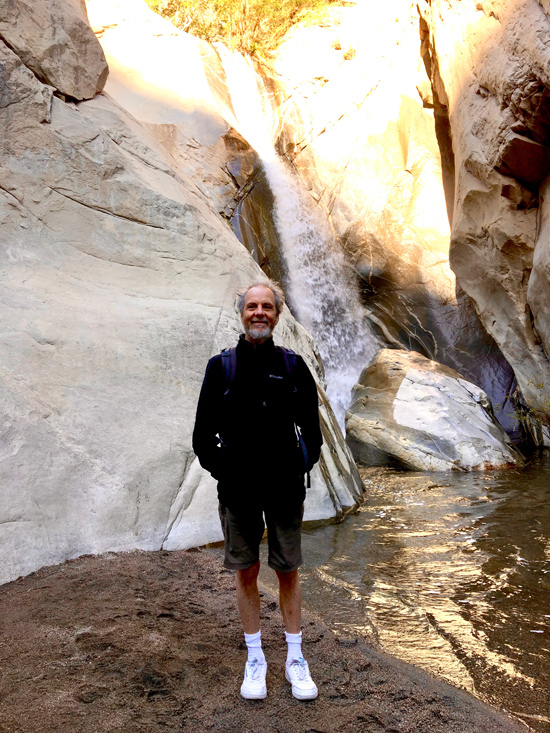 Last week when I was playing in the desert at Pete Carlson’s Golf Shop, the next morning my friend Brian and I hiked up to a waterfall with freezing water. Super special! And then tomorrow, Wednesday evening, we’ll be carrying on the revolution at the Cardiff Library. What a magical spot it is for a cozy music happening! 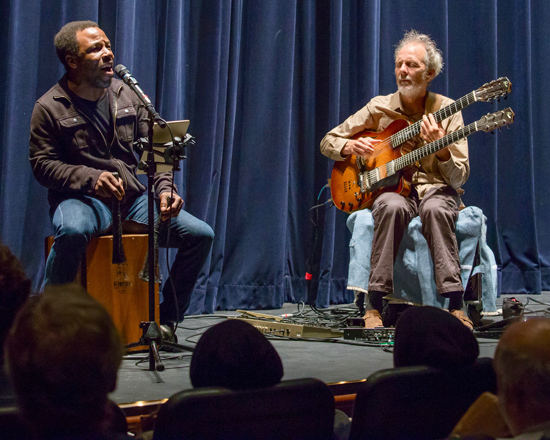 This is the setup, Leonard singing and playing cajon, me on guitar and the machinery on the floor, that we’re bringing to the Cardiff Library concert. That’s the news from this week and we hope to see you out there!